Are you in search for a solution to recover shift deleted emails from Outlook 2007, 2010, 2013, 2016 and other lower editions quickly. Then let me tell you, you are on the right page. Various methods to retrieve permanently deleted emails in Outlook is briefly explained below. Since Microsoft Outlook is one of the most advanced and commonly used email client available in all over the world. The searches to solve several issues in those accounts will also be very common. “How to restore hard deleted emails in Outlook account without losing data?” is a widely asked question in most of the search engines. PST file format (Personal Storage Table) is the storage file format used in MS Outlook to store data like the message, calendar, contacts and other Outlook items. 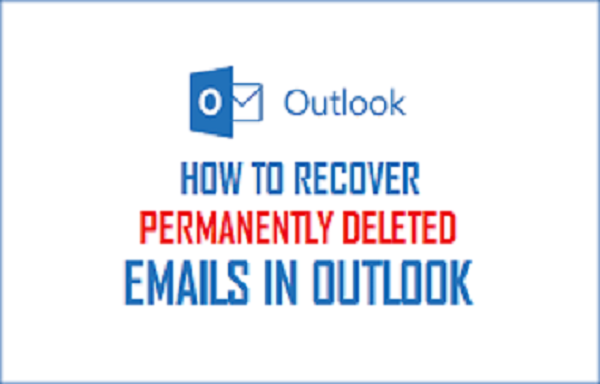 While deleting emails, contacts, calendars or some other items from Outlook account, those items are moved to “Deleted Items Folder” and this procedure is called Soft Deletion. The soft-deleted items in Microsoft Outlook account can be easily recovered or retrieved by simply moving or dragging those emails from “Deleted Items Folder” to the desired folder. But, when an Outlook item is deleted using “Shift + Del”, or a file is deleted from “Deleted Items Folder”, then the file will be completely removed from the account. And this functionality is called as “Hard Deletion” or “Permanent Deletion” of data files. Here in this article, we discuss the solution to recover shift deleted emails from Outlook 2007, and all other versions of MS Outlook. A direct method is also suggested to retrieve permanently deleted emails in Outlook at the end for an instant solution. Is it Possible to Restore Hard Deleted Emails in Outlook? When an email is accidentally deleted from Outlook account, there are chances for those emails to stored in “Deleted Item folder”. And, if the user has deleted data files like emails, contacts, calendars from ‘Deleted Item Folder’ then one needs to look into ‘Recoverable Item Folder’. So, there is the chance to recover permanently deleted emails from Outlook or to retrieve permanently or hard deleted emails from PST file. Recovering shift deleted files from Outlook 2016, and below editions is possible. In order to make it achievable, Exchange Server Administrator must be turned on ‘Deleted Items Recovery’ on the server side. It is because the data items like emails and other files that are deleted using Shift +Delete or files that are deleted from ‘Deleted Item Folder’ are stored in ‘Recoverable Item Folder’ for 14 days This time duration is called Retention period. Follow the manual steps given below if you accidentally Shift Deleted the emails or files from the account or deleted files from ‘Deleted Item folder’. It helps to recover shift deleted emails from Outlook account easily without any hardships. Make sure you are running in online mode. Always use of Exchange account. The above-mentioned steps are only applicable when hard deleted emails and files are available in Recovered Items Folder, that within the retention period. How to Recover Shift Deleted Files from Outlook At Any Time? Now let us see how to recover shift deleted emails from Outlook if the emails are removed from “Recoverable Item Folder”. The manual method available was only possible retrieve files within the retention period. Now lets us see the quick and efficient solution to restore permanently deleted emails and files even after the provided limited time period. The Outlook PST Recovery Tool helps to recover hard deleted emails in Outlook account without any data loss. It can also repair corrupted and damaged Outlook PST files effortlessly. 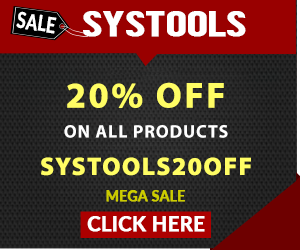 Find the proper steps and working of the software from the official site. To recover shift deleted emails from Outlook is not an easy task to perform. From a common user point of view, retrieving hard deleted emails is not at all possible task. But Microsoft Outlook provides the option to restore permanently deleted emails in Outlook 2016 and other below version. All Shift deleted emails will be stored in ‘Recoverable Items Folder’ till retention period. If one needs to recover deleted emails after that time period, it requires a third-party utility for it. The Outlook PST Repair Tool is the one of the best choice available restore permanently deleted emails.